Are you struggling with a behavior or training problem with your sport horse? Sport horses of all breeds are spirited, gifted and intelligent athletes. But if you get on the wrong side of your sport horse, then things can go bad in a hurry. If any of these scenarios feel familiar, then you’ve got a real problem on your hands that may not be easily or quickly resolved through normal training methods or approaches. * Does your Thoroughbred spook, act skittish or nervous in hand or under saddle? * Is your Trakehner horse so heavy in your hands that you think your arms are going to fall off? * Does your American Quarter horse stoically refuse to go forward… or run away with you once they get going? * Does your Hanoverian dressage horse race along with their nose in the air and a hollow back, consistently evading the bit and your hands? * Does your American Paint horse bite or nip at you (or others), or run away when you approach? * Does your Appaloosa kick out, rear up, or strike out at you or others? * Does your American Standardbred refuse to load (or unload) safely in a horse trailer? * Does your Tennessee Walking horse hold their head so high you can’t bridle or halter them? * Does your Andalusian horse constantly swish their tail or pin their ears under saddle? If your sport horse does any of these things, then this is the perfect time to discover why — by asking your horse directly. The answers may surprise and entertain you, and will always help you grow dramatically in your horsemanship. A 30 Minute Discussion with Your Horse Can Bring You Clarity on Why Your Horse is Misbehaving! Your horse doesn’t have to be Mr. Ed in order for you to hear what they need to tell you, you just need to know how to listen with an open mind and heart. 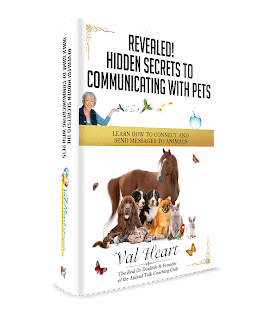 Animal communicators are gifted with ability to have an in depth conversation with any animal, including horses. And after working with horses for most of my life and communicating with them professionally for almost 20 years, I’ve discovered that what the horse owner, rider or trainer thinks is going on is rarely the truth, from the horse’s viewpoint. If you miss the boat on this one, then you will spend a lot of wasted energy, time and money going in the wrong direction in a hurry. You can even wind up being hurt – or your horse can lose their health, their willingness to work with you (their goodwill) or their home… and in the worst cases, lose their life. What can you do with a horse who refuses to follow your direction? Most often the trainer or rider blames the horse for the problem, thinking they are just being obnoxious or don’t want to perform. They rarely think about their horse experiencing an emotional, mental or physical problem. But that’s as ignorant as it is disrespectful. Don’t blame your horse for their behavior or training problems, or their seeming inability to master a skill. It is time for you to assess what you may be doing wrong and make the appropriate changes to rebalance your relationship. Your horse knows why they are behaving the way they are and it makes perfect sense to them. Poor communication is at the root of most every issue… and communication is always the key to resolving things. If you want to have a happy healthy horse who is delighted to see you and work with you, then start here before doing anything else. Your best horse trainer and riding instructor is not your trainer! It’s your horse! Who knows better than them what is working or not? What hurts or is confusing, and why? My horse and I were working very hard at picking up the correct canter lead. I’d ask the way I was being taught, and he’d either ignore the cue or toss his head or cross canter… rats. Then we’d try again, and again, with our teacher getting more exasperated at us, and we were getting more frustrated with each other with every stride. Ah Ha!! Mystery solved. He was absolutely right, of course. I had been very heavy in my seat, my grip on the reins in my effort to ‘do it correctly’ had been growing tighter and tighter. I’d been forcing the cues ‘harder and harder’ in my exasperation, never realizing that what I was doing was exactly opposite of what I truly wanted. So, I apologized and when we tried again, it was with delight (and gratitude!) that he effortlessly picked up the right canter lead. Your best riding instructors (and trainers) are right there beneath your saddle (or at your side)! Why wouldn’t you ask them for help or feedback when you are trying to work through a difficulty? So take a moment to reflect on what signals and cues you might be giving that they are reacting to. They know intimately better than anyone observing from the outside what we are doing wrong, if our signals or cues are being misinterpreted or applied in a confusing manner, or if we’re doing something that’s interfering with their ability to perform easily. Allow them to teach you. You’ll be glad you did. It is the rider and trainer’s responsibility to learn to communicate effectively so your horse understands what is being asked of them and can perform to their best with a willing and happy heart. You can get what you need to know straight from your horses’ mouth! Communicating with your horse to resolve behavior or training problems will ultimately and quickly strengthen the bond between you and your horse. Instead of fighting with a nightmare, you can begin to enjoy the horse of your dreams. Book: Avoid the Top 12 Most Costly Mistakes Dog Parents Make – and learn how to have happy, healthy dogs! * Reprint Requests: I appreciate your sharing my articles with others. You have permission to reprint this Article as long as you keep my bio and copyright information intact. After study a number of of the weblog posts in your web site now, and I really like your manner of blogging. I bookmarked it to my bookmark website record and will likely be checking again soon. Pls try my website as nicely and let me know what you think.